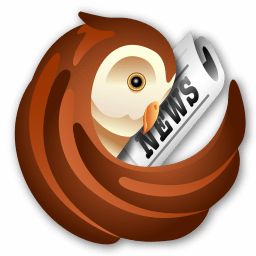 RSSOwl is a free and powerful news feed reader, that collects data from RSS-compliant sites and is called RSS reader or “aggregator”. RSSOwl lets you gather, organize, update, and store information from any compliant source in a convenient, easy to use interface, save selected information in various formats for offline viewing and sharing, and much more. You can easily customize the toolbar in RSSOwl to make actions you commonly use easy to access with a single click. RSSOwl supports a wide range of features that make RSSOwl accessible. This includes reduced colors in high contrast mode, keyboard shortcuts and support for screen readers. With RSSOwl you can use the embedded Browser to open the full content of a news entry from the originating web site. You can easily install additional features into RSSOwl by using the integrated Add-on wizard. For example, the Newsgroup Reader makes it possible to read newsgroups in RSSOwl like feeds. Enable the grouping mode to group a list of news entries from a feed by a specific attribute. E.g. 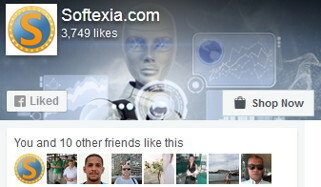 you can group news by date, author, category, feed and much more. Switch to the newspaper view to get the full content of a feed displayed at once inside the embedded browser. You can still perform common actions like marking a news as read or sticky from the browser by using one of the actions that is provided for each entry below its headline. You can create any number of News Bins to store news you think are worth keeping. News can either be copied or moved from any feed. With the help of News Filters, you can create rules to automatically move or copy news to News Bins. Use Labels to associate keywords with news entries. You can assign any number of labels and create new ones. Each Label has its own color to make it easy to distinguish labeled news from others. News Filters are likely the most powerful feature in RSSOwl. They allow to automate common actions like moving or copying a news into a news bin. You can create as many filters as you need. Each filter is made up of search conditions to match specific news and a list of actions to perform on them. Once created, the filter will work on downloaded news that match the search conditions. A filter can be executed on existing news as well. The Notifier is a small popup that displays the headlines of incoming news even when RSSOwl is minimized. You can mark news entries as sticky from the Notifier to remember reading the full content of the entry at a later time. This new version provides an easy way to unsubscribe from Google Reader as Google decided to stop this service end of June. In addition, you can now export a feed as CSV file and among some bugfixes, some new share providers where added. Very good program, I use it all the time. The best RSS feeder! Try it, you'll never look back.